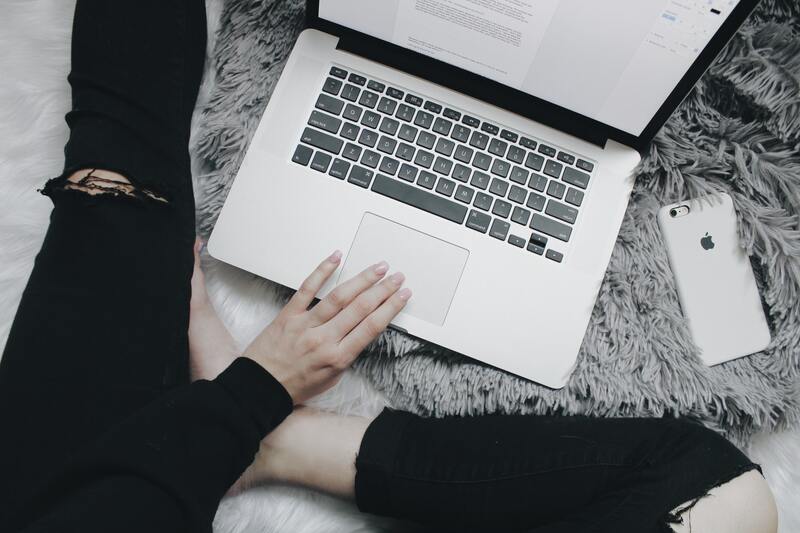 We all know how damaging heat is to our hair, but it's even more of a problem when it comes to hair extensions. Unlike our own hair they receive no oils from the scalp so are prone to drying out, leaving a stiff and ratty tangled mess behind- not a good look! Any kind of heat speeds up this drying process, and over the years I've discovered that curling tongs are the worst culprits when it comes to ruining extensions. Big chunks snap off where the tong clamps the hair, and I've unintentionally destroyed £70-£80 worth of extensions in just a few days of curling them. Rather than give up on curls all together I decided to try and create them without heat instead, if you're using clip ins and taking them out at night the hair will stay in place for around three days before dropping to a loose wave. This method won't damage your extensions and doesn't require any expensive equipment or products. 1. Take one of your hair extensions and brush through to make sure there are no knots- this process only works well on dry hair. 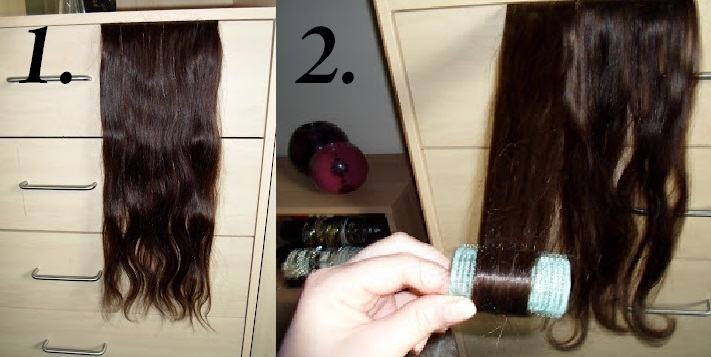 Close a drawer over the weft to hold it in place (picture 1). I find this is the easiest way to do it, as now you can use both hands rather than having to hold the hair in one hand and attempt to put a roller in with the other. 2. Take a section of the hair and twist it around the roller, starting from the ends. You can curl it right to the top of the extension or just part of the way up, I usually go about half way up so just the ends are curled but you could go all the way up if you wanted. Just make sure there's not too much hair around each roller, you may need to curl smaller sections if you're going the whole way up. 3. Clamp the hair around the roller using a clip or hair grip and give each curl a good coating of hairspray. It's important not to skip the hairspray or the curl won’t hold when you remove the roller. 4. 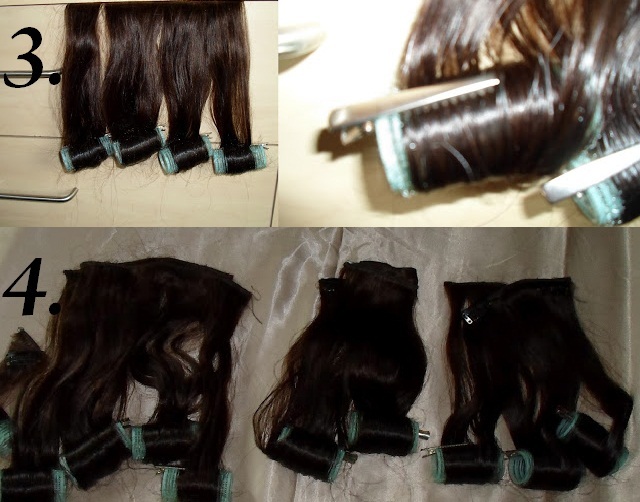 Repeat with each hair extension weft until you have something that looks like picture four. Leave the hair somewhere that it wont get tangled. Leave it for at least a few hours, overnight is best but you can remove the rollers sooner as long as the hairspray is completely dry. 5. Unclip the clips/ grips and carefully unwind the hair from the roller. Don't tug too roughly or you'll mess up the curl and be left with frizz. 6. You can give the finished ringlets another spray of hairspray if you prefer. You can either keep them like this or break up the ringlets with your fingers to create a more natural looking beachy wave. Then simply clip your extensions in as you would normally! -Don't wrap too much hair around each roller. For long or thick extensions curl smaller sections. -Remove the roller carefully- unwind it rather than pull it out. How do you curl your extensions? Do you use heat styling tools, or go for no heat alternatives like this? You're really pretty and your hair looks gorgeous! Omg!! this help so much i burn my extensional so many time.